DB2, SQL Server, Oracle, PostgreSQL, MySQL, MariaDB, Access and more! Give your IBM iSeries (AS/400) full SQL access to remote databases from all IBM i high-level languages. It is a collection of commands and functions allowing record level access to remote data using RPG, CL or COBOL! Programmers can write applications that use standard types and features without concern for the specifics of each remote database. Likewise, database driver implementors need only know how to attach to the core library. 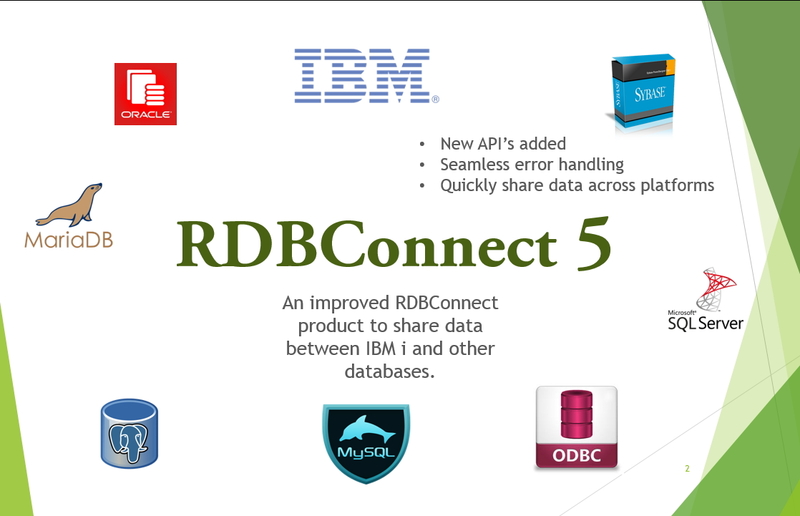 RDB Connect will run on an IBM iSeries (AS/400) with an operating system version of V5R4M0 and above. It requires an IP connection to the remote server that is running the database that you want to access. Note: After installing RDB40, the RDBSBS will be running under the RDB40 library. If you are upgrading your RDB30 and want to continue running RDB30, end RDBSBS (ENDSBS SBS(RDBSBS) OPTION(*IMMED)) and restart it (STRSBS SBSD(RDB30/RDBSBS)). "We love DBU RDB! 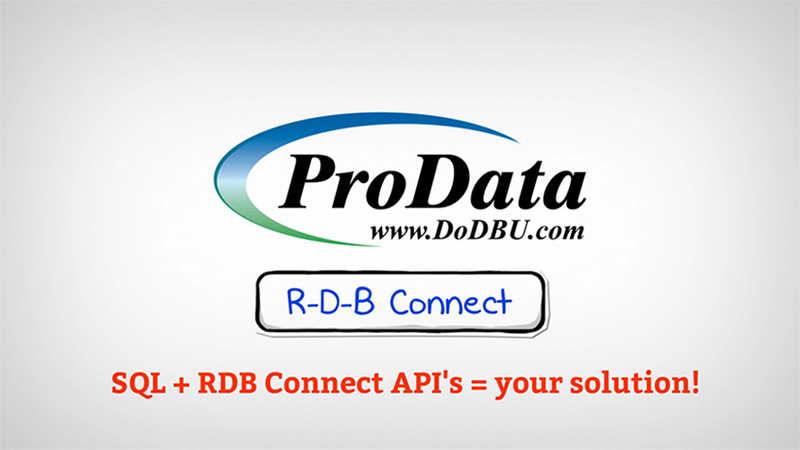 ProData has RDB for DBU database utility / file editor which allows you to do a DBU on the remote database, where RDB Connect allows you to connect to the remote database using a CL or RPG program. Plus, their support is world - class!"